Planning a stag or bachelor party for one of your best friends can be a rather overwhelming experience and accommodating all of your mates may be a daunting and stressful mission. Organising and booking activities, food and accommodation issues, transport worries and even fixing the budget can prove to be quite a task! This is where we come in and relieve you of all the pressure so all you need to do is sit back, relax and enjoy the ride! Born and bred in Malta, Alexia and Steve, the founders of Hen Club and Stag Club are planning to get married in 2015. While probably not organising their own hen and stag nights, as that will fall to their nominated seconds, the two are not newbies when it comes to knowing a thing or two about planning the ultimate bachelor or bachelorette party – Malta InsideOut, Hen and Stag Party Time in Malta! We’re guessing that since you’ve come to our site, you probably want to make sure that your stag do is a bit more memorable than any other night out. With our first hand experience in organising stag parties, coupled with the fact that we know Malta like the back of our hand (being born and bred here) and have tried and tested all the activities ourselves (so we really do know what we’re talking about), we can guarantee that we have got the expertise and packages to make sure your best mate gets the celebration he deserves! Our dedicated team of stag party organisers have got all the necessary tools to ensure that you’ll have a silky-smooth, problem-free stay. You can easily choose from the ready-made packages and if you’d like to add or tweak anything just let us know and we would be happy to accommodate you! No matter what kind of stag do you’re looking for we’ve got you covered. You may also opt to create your own personalised stag package by filling in the Booking Request Form and choosing from the list of activities available on our site.  Contact Stag Club today to find out how we can give you a brilliantly unforgettable party… the memories of which will last a lifetime!